Pandan is tropical plant with long green leaves. 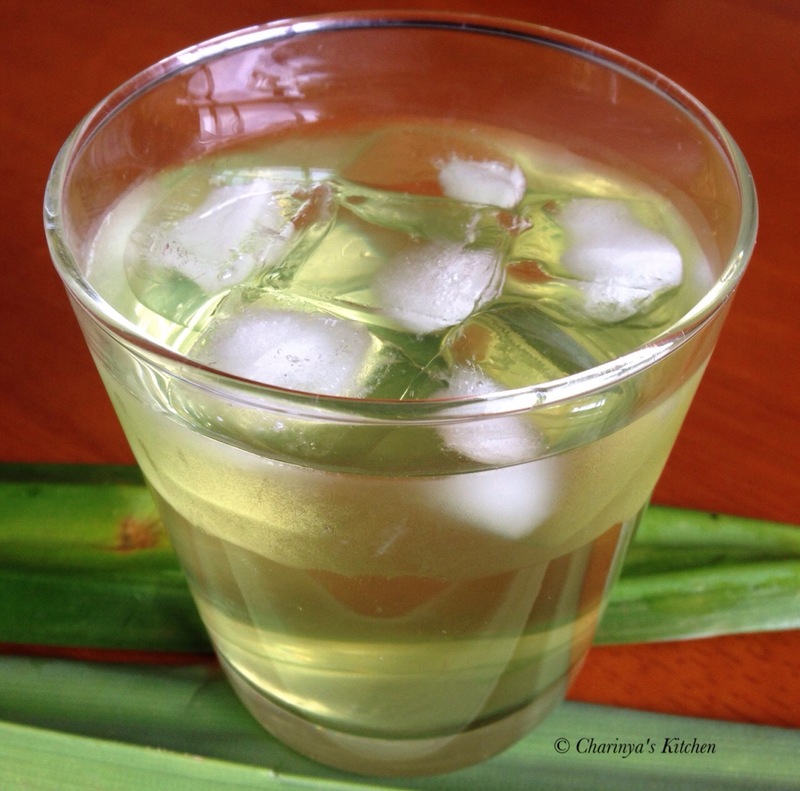 In Southeast Asia, pandan leaves are used to lend a unique taste and aroma to many Thai desserts and some drinks. Living in Australia I can find Pandan leaves in Asian grocery shops. It always comes in a very big bunch and I only use a few leaves. I bought the leaves to cook the Thai dessert “sweet sticky rice with mangoes”, with the recipe to be placed on my blog soon. After making the dessert I still had some Pandan leaves left. One famous way to use them is by making a drink. This is how I made it if you want to try. • Tie 6 pandan leaves together and put in the pot with water and sugar. Bring the water to boil. 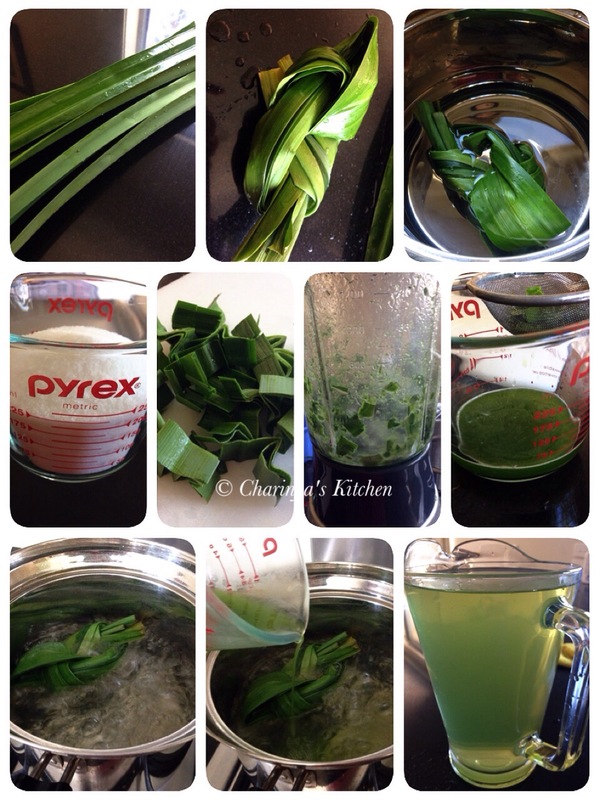 • While waiting for the water to boil cut the remaining Pandan leaves into 2cm long strips. Add the leaves in the blender with 1/4 cup of water then blend together. Sift to get just the water. 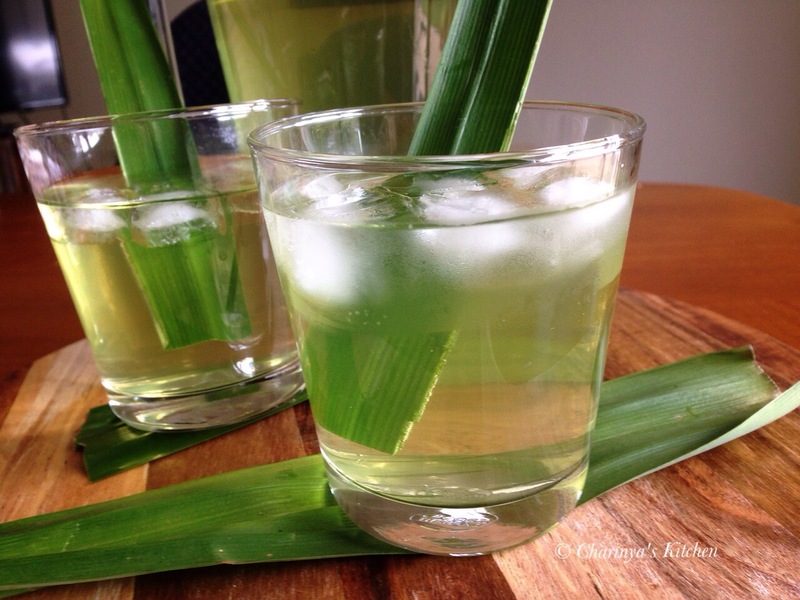 • Add the blended Pandan water to the boiling pot of water and keep boiling for 10 mins. • Turn the heat off and let it sit for 10 mins before removing the pandan knot. • When the drink cools down sift with a very fine filter such as a tea filter. • Place in the fridge until required. • Serve cold with ice.